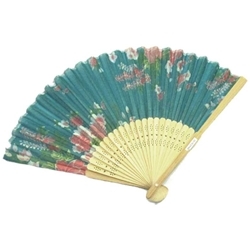 Oriental Bamboo Folding Fan. Length: 8 1/4". Color as shown.